[ROCK] The Mighty Mighty Bosstones’ 1997 album Let’s Face It was one of the first album’s I ever owned—on CD, of course. I wore that CD out that summer, along with No Doubt’s Tragic Kingdom, while my taste in music developed. I still hear cuts from that record, like “The Impression That I Get” and “Royal Oil” on the radio, which is astounding considering ska music is typically thought of as underground music. The genre might have peaked in the mainstream with that record, though, and 21 years on, the nine-piece band, lead by vocalist Dicky Barrett is still playing in front of sold out crowds. And for a band with that many members, it’s nice to know that a good chunk of them are still around from the band’s Boston-based beginnings, including bassist Joe Gittleman, sax player Tim Burton, and dancer Ben Carr. 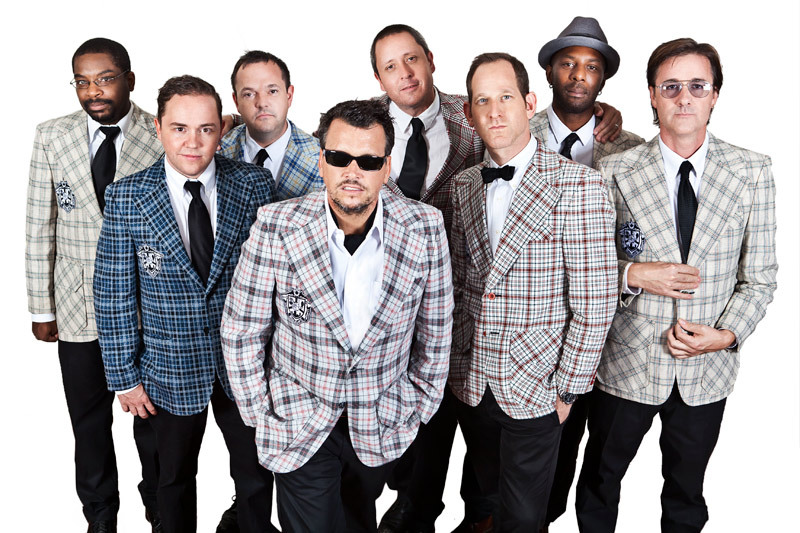 Catch the Bosstones at Canalside as the final concert of the year in the Canalside Live concert series, this Friday, August 17. Canadian alt-rock band, Lowest of the Low, opens the show.